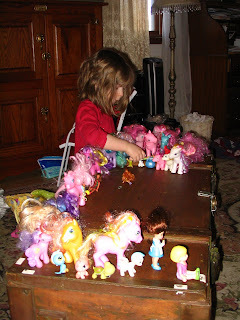 Addie spent a lot of time setting up this "Pony Parade." You'll notice that the Momma and Belle are leading the Parade. Apparently the Ponies needed a human to lead them along. Some of the Littlest Pet Shops were honored to be part of the parade.